Your home insurance policy has a number of different sections that many of us don’t fully understand. We put a lot of faith in our insurance provider to ask the right questions when we purchase our policy, but even if they do we’re often unprepared to answer properly. The entire procedure of getting your home covered can take a shockingly short amount of time – just a few minutes in many cases – and although there’s relief in “getting it over with,” there can also be the nagging suspicion that something was missed. Nobody likes buying insurance, and in order to get this unwanted task over with we answer questions quickly … without really thinking our responses through. In doing so we can provide incomplete information without knowing it, and that can jeopardize our overall protection. Remember, you have the right to review your home insurance policy with your broker or provider at any time. But receiving our annual renewal papers is often a great reminder. Go through these following aspects of your policy to ensure you are getting all you can out of your coverage. Is my payment schedule convenient to me? Your renewal papers will detail your payment schedule and dates. Some choose to pay yearly and some choose to pay monthly. In order to avoid a large annual bill, many prefer monthly payments. If you find yourself struggling a bit to make your payment, you can change it to coincide with paydays so that the amount is withdrawn when you are sure to have the funds in your account. The deductible is essentially the amount you pay to process an insurance claim. For home and renters insurance this amount is usually $1,000, but you may be able to negotiate a lower or higher deductible depending on what is best for you. With a lower deductible you can expect to pay higher monthly or yearly fees, and a higher deductible is likely to bring down the amount owed in your payment schedule. Whatever you choose, we highly recommend having the amount of your deductible saved at all times so that in the unfortunate instance that you have to make a claim there is no unnecessary financial hardship. Are my belongings fully covered? Many people woefully underestimate the value of their belongings when they purchase their home insurance coverage. Use a home inventory checklist and thoroughly go through all of your belongings – including your clothing – to get a very good idea of how much would need to be spent to replace everything, and make sure your personal property coverage accurately reflects that amount. You may also want to add in a special rider for collections such as jewelry, art, and sports equipment. The special limits placed on these are usually not enough. For example, the special limit for jewelry is typically quite low, at around $5,000 for all of the jewelry in the home, combined. Considering wedding and engagement rings, in a lot of cases just those items will exceed that limit. Be proactive and have all of your pieces appraised by an expert, and keep the resulting paperwork in a safe place. Then, protect your heirloom jewelry by increasing your special limit. It is not expensive and will provide much-needed peace of mind. What if my family and me are displaced from our home for an extended period? A flood or a fire can cause displacement from your home for several months. Are you able to cover the expenses? With additional living expenses coverage for named perils, your insurance will make sure you and your loved ones are housed comfortably while repairs are being carried out. What is my liability coverage? If someone is injured on your property, you may be held liable. We recommend liability coverage of at least $1 million to handle any ensuing litigation. Am I properly covered for hail, windstorms, and sewer backups? Many home insurance policies cover these specific perils separately, with different deductibles and different limits, and each occurrence is quite common in Alberta. Carefully check what you are covered for and assess the risk you are willing to take in the case of a future claim. Is there anything that might bring down my premiums? If you have added a feature such as a burglar alarm, this may help bring down your premiums. And renovations that have improved the overall quality and safety of your home, such as upgrading your electrical system, may also result in lower premiums. Are my outbuildings properly covered? Many forget about their garages, sheds, and gazebos when considering their home insurance, but each should be included with an accurate insured value that includes the building and belongings. What would it cost to fully rebuild my home? You should have your home fully evaluated by an expert every three to five years to make sure the replacement cost on your home insurance policy accurately reflects its value. 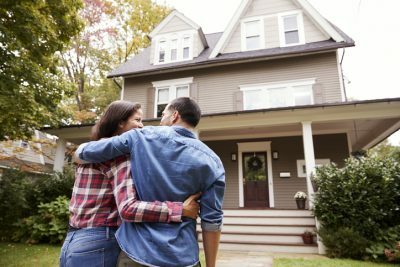 Do I have actual cash value or replacement cost insurance? Actual cash value (ACV) refers to the current market value of items in your home. It is calculated by taking the item’s original purchase price, then factoring in any subsequent appreciation or depreciation. Replacement cost differs from ACV in that it reflects the amount of money you would have to spend to replace a damaged or stolen item. Thus, depreciation does not factor in, but appreciation does. Guaranteed replacement cost is a specialized type of coverage we recommend that ensures that your insurance provider will cover all costs associated with restoring lost or damaged property, even if the value of that property exceeds your policy’s coverage limit. It is essential to keep your insurance company up to date on anything happening with your property. Perform annual reviews of your house, land, outbuildings and belongings to guarantee your coverage accurately reflects your situation.